Samsung plans to introduce a smartwatch that's capable of making phone calls and receiving data, allowing it to be used without maintaining connection to a smartphone and removing a limitation that's troubled recent watches, according to The Wall Street Journal. The smartwatch will reportedly be unveiled in the next few months, will include a camera, GPS, and a heart-rate monitor, and will at least be capable of sending email. One would assume that such a watch would also allow for third-party apps, as Samsung's prior watches have, allowing it to do much more. The device would essentially put the key capabilities of a smartphone into a watch, requiring a SIM card and likely a data and voice plan too. Samsung's been more than happy to experiment with the shape of smartphones, often to ridiculous results, and it sounds as though this watch will be just another extension of that. That said, it's a logical area of experimentation as the smartwatch market begins to emerge. One of the biggest complaints with Samsung's existing smartwatches is their overbearing reliance on the phone that they're tethered to, so building a data connection right in would certainly resolve that. Whether people will want to pay for cellular service to a watch, should that be required, is another question. This also won't be running Google's impressive-looking Android Wear watch operating system, as many might hope. 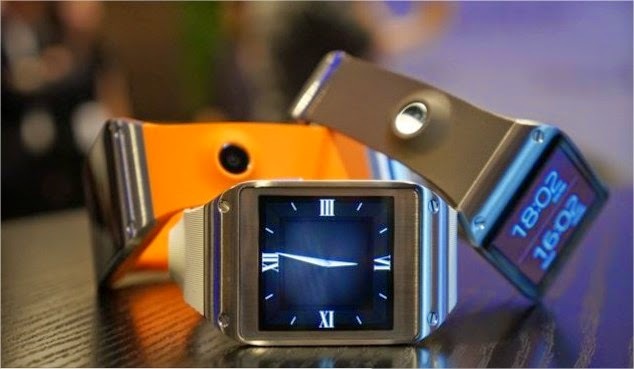 Instead, it'll reportedly be running Tizen, like the Gear 2. If Samsung really does release the watch in the next several months, that would mark its third smartwatch in under a year, continuing a process of aggressive iteration chased by the spectral threat of a genre-defining smartwatch from Apple coming along in the near future. The Journal reports that Samsung is aiming for a June or July unveiling, and that it's already speaking with telecoms in the US, Europe, and South Korea about carrying it.